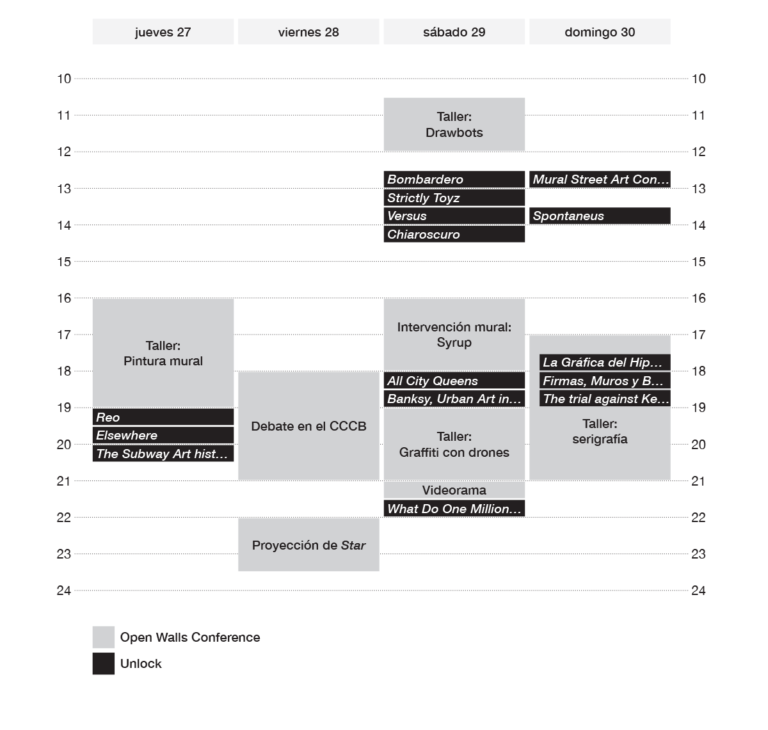 Open Walls Conference, a festival refering to the international circuit of urban art, celebrates its fourth edition this week-end. 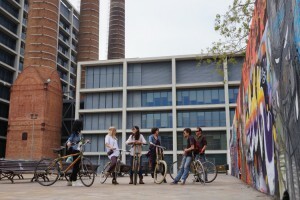 Artistic creations, discussions and disseminations are included in this event which has become a meeting point for artists at the scene of the murals as well as new space for reflection, diffusion and promotion of urban art Barcelona. For all details about the program, click here. 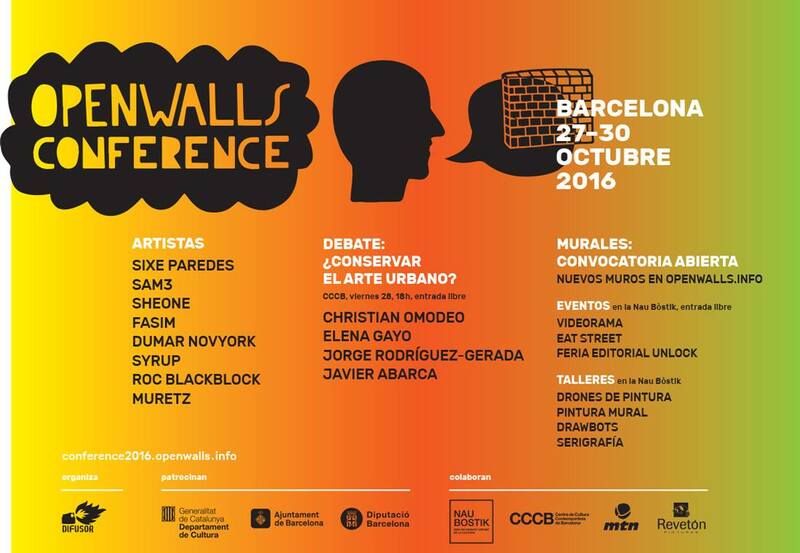 This year’s Open Walls also presents the first fair in the world dedicated to graffiti and streetart, which makes Barcelona epicenter of this field of books. They will bring together more than fifty publishers from Europe and America, promoted by Javier Abarca, artist and investigator from Madrid, founder of reference portal Urbanario. UNLOCK also offers a full program of lectures, conferences and book launches, becoming a showcase support growing publishing scene on graffiti and street art. Here is the full program of the week-end, which will in addition hold the Eat-Street festival with food-trucks offering different type of menus inspired by urban art. Posted in Agenda, Blog and tagged art, Barcelona, eat street, graffiti, montana, montana gallery barcelona, muralismo, murals, nau bostik, open walls, open walls conference, openwalls conference, Ripo Street Artworks & Festivals, stencil, stickers, street art, street art barcelona, street art bcn, streetart, streetartbcn, subagora, unlock fair, Urban Art.